We are showcasing Altenew Products this week. You don’t have to use them to join in but if you have some we would love to see them used. This is my card using Altenew products. 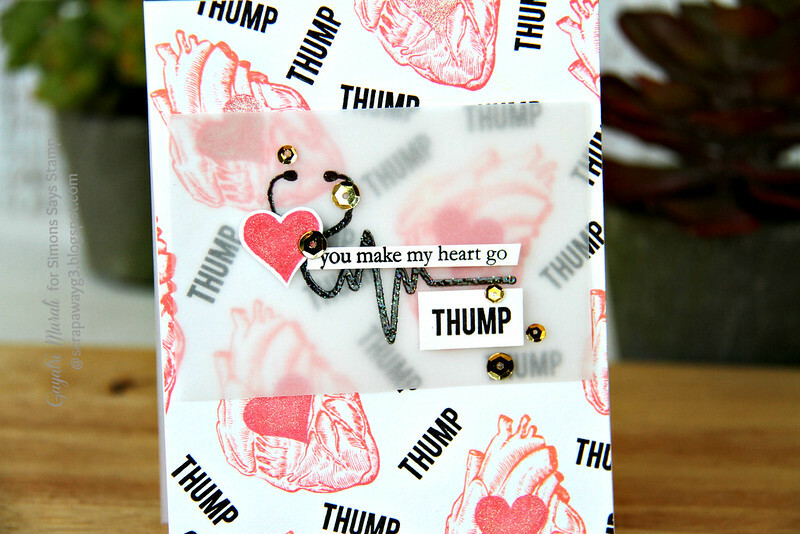 I used Doctor’s Rule stamp set from Altenew to make my card. I love this set but have not used it since I bought it. It has been months sitting in my storage box. So I decided to tackle it for this challenge. 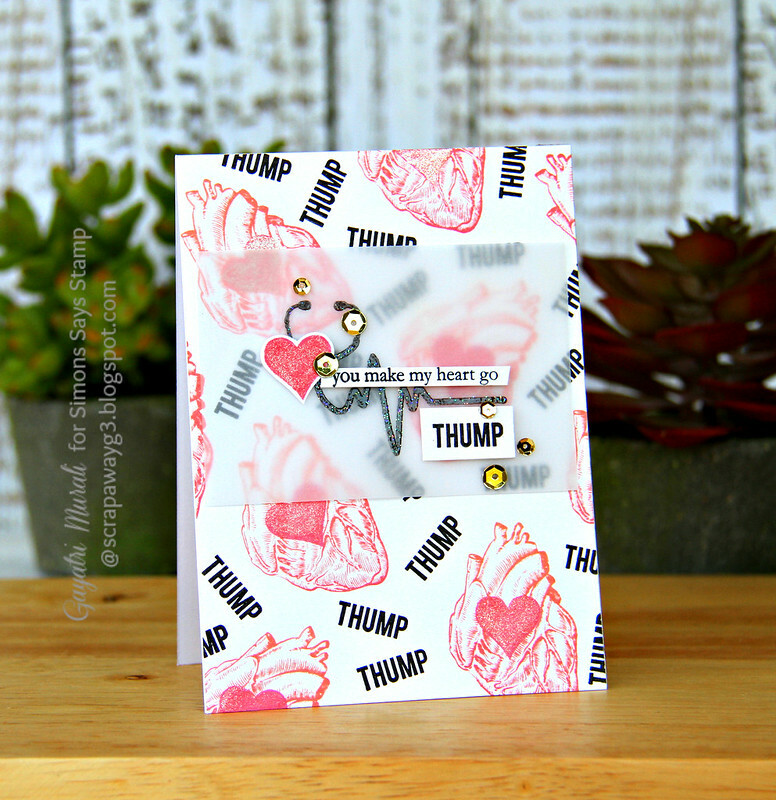 I stamped the heart from the stamp set using Light to Dark Peach Hero Arts Ombre ink, then the heart shape is stamped over the heart image using Simon Says Stamp Teeny Bikini ink. I filled the space by stamping the sentiment in black to give contrast. This is such a fun design! Love the added bits of sparkle! A fabulous fun card Gayatri, great stamping the background and a super vellum sentimen!! OH my gracious your card is SOOOOOOO funny and sweet and cool. My daughter works in a Dr's office and I think this stamp set would be hilarious to have and make some cards for her. I LOVE the colors in your card and the vellum is so clever! Super fun design! I love the background as well as the wonderful strip of vellum with all the images and sentiments layered on it! Thanks so much for sharing! Way fun! I love this!